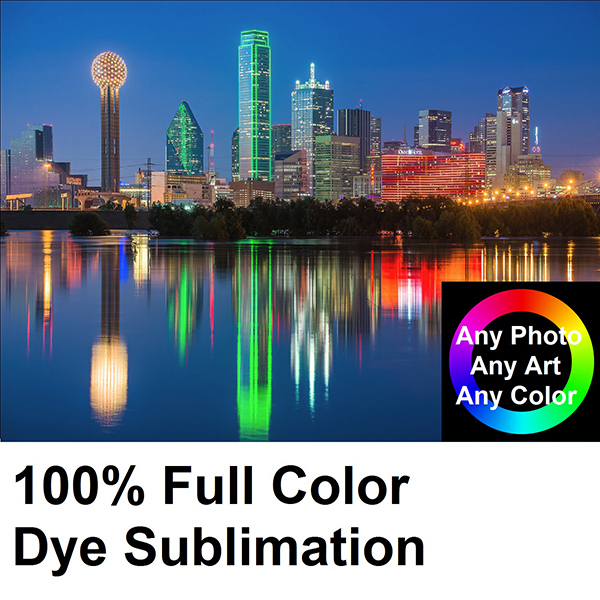 Full Color Raster Print Dye Sub Graphics are used for complicated logos, text, and images that have gradient color values, multiple colors, and photographic imagery. 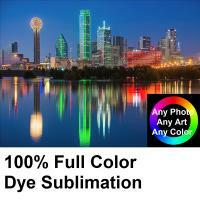 Close PMS color matching is available with this print process. 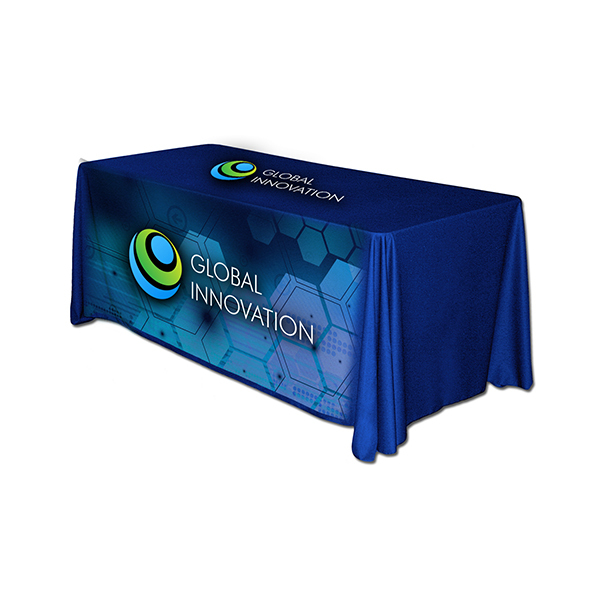 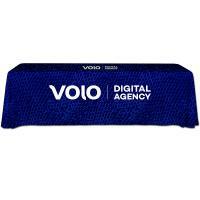 Image size for your custom table skirt can be as large as the entire front face of the throw, or smaller depending on your requirements! Printing done proudly in the USA!